It's important to teach your kids dental hygiene habits as soon as possible because good and bad habits start young. 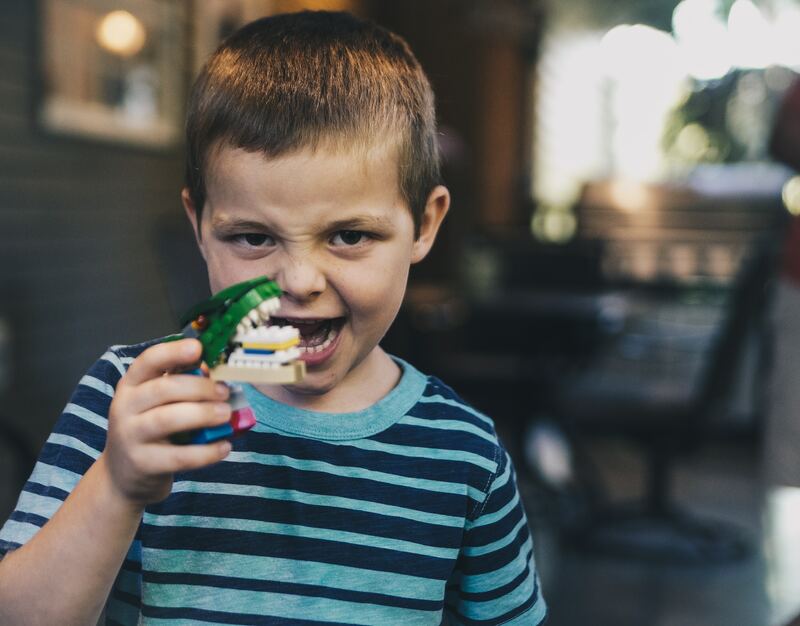 Most children have a full set of baby teeth by the time they are 3-years-old and, as they grow, their jaws grow, making room for their permanent teeth. Helping them learn the best habits will prevent problems and protect your kids as they grow. How well do you take care of your teeth? Make sure your kids see you brush and floss your teeth everyday. This will set a good example for them and they are more likely to follow you in your brushing habits. Brushing and flossing your teeth together, or as a family, is a fun way for your kids to learn, and you may find they look forward to it. Toothpaste, brushes, and floss come in a rainbow of colors, shapes, and sizes and often feature favorite characters. Letting them pick out their own will help make brushing fun. Be sure that they choose a kid-sized brush that is easier for them to hold and fits better in little mouths. You and your children should be brushing your teeth for at least two minutes. Even adults fall short in this area, but picking a song to help gauge the time is a great way to make sure you reach the two minute mark. Pick a song that your kids love and teach them to keep brushing until the song stops. Teachers all over the world use reward charts to instill good classroom habits. Set reasonable goals for you kids and let them come up with some of the rewards. Encourage them to brush and create healthy habits with small toys, books, or more elaborate prizes for weekly or monthly goals met. Kids love sugar, but candy and syrup-filled drinks are harmful to teeth. Encourage your children to choose healthy snacks as part of building good dental hygiene habits. Instead of reaching for those harmful treats, give them carrots, apples, or peanut butter and celery. What your child sees you do is extremely important, and they will mimic your actions. But what has even more of an impact are the actions of their beloved older siblings. If big brother or sister takes the time to take care of their teeth by brushing regularly, so will they. Have older siblings show them the ropes, and both kids will benefit from it. How many times do you hear a parent telling their child to “get their hands out of their mouth?” No matter how well you teach your kids, they’ll likely still put their hands in their mouth from time to time. You can prevent germs from spreading by teaching your child to wash their hands regularly. Let your kids know when they are doing a good job. Praise is a great tool to help your children create healthy dental hygiene habits. Kids, above all, love to have fun, so keep it light and make brushing your teeth something they look forward to. We encourage our patients to bring their babies in as soon as those first few baby teeth start coming in. It's useful to evaluate the teeth, habits, and give advice to the new mothers. Schedule an appointment with us!